Women of Muslim heritage are always in the news – as victims, as ‘jihadi brides’, in innumerable pieces on hijab. We are endlessly spoken for, and spoken about. It’s time we got to speak for ourselves. If we can’t get heard through mainstream media outlets, then it’s time to build our own. We cannot allow ourselves to be placed on the margins of debates that directly concern us. Produced by Fuuse, my own independent media and arts production company, sister-hood will ensure that our vital contributions to these debates are heard. In a time of trouble, I looked for inspiration from the feminist women of Muslim heritage that I had the good fortune to be surrounded by from a young age. Seeing that many other women had no such experience, no such memory, and therefore no such strength to draw on, the sister-hood dream was born. Although my films and activism often uncover violence, darkness and the horrors of our world, I have always been obsessed with women heroes. Exposing oppression is only half the story. The other half is bringing attention to those who combat oppression. There are people – many people – who rise up and resist hatred, violence and fear, despite facing impossible odds. In public discourse, stories of villains and victims usually drown out tales of heroes and survivors. Abusers and oppressors dominate discussions but it’s time that those fighting back – many of whom are women – have their names acknowledged, their courage recognised. For me, the heroes are not just the loud and fearless activists, but also the young woman who resists a forced marriage in her own house and the girl who refuses to be reduced to just her gender. Women who insist on being themselves in their own lives. The silencing of women’s voices and the lack of attention to progressive and radical ideas coming from women of Muslim heritage is something that has inspired a lot of my projects. In 2007, I launched the first iteration of sister-hood as an online music mixtape initiative for young female Muslim music artists, rappers and poets. It was aimed at facilitating a space for Muslim women who refused to be confined by the model of femininity as defined by orthodox men. Many in the Muslim community told us that women of Muslim heritage should not perform, sing or engage in artistic expression or be present in the public arena. As soon as the mixtape was launched, conservative religious ‘leaders’ in the UK wasted no time in condemning the initiative. This reaction convinced me that the project was worth pursuing. 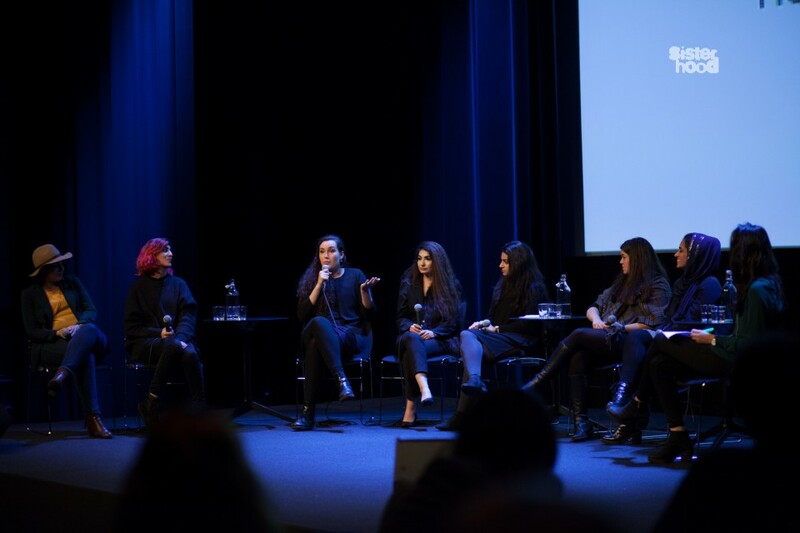 In 2015, Fuuse organised a global conference in Oslo to celebrate women’s activism and creativity. This highlighted the work and opinions of some of the most important activists and artists in the world today – many of them women of Muslim origin, such as Nawal el-Saadawi, Shirin Ebadi, Mona Eltahawy, Yanar Mohammed and Hina Jilani – to show the power of women’s voices, and the vital importance of the messages they deliver. The intense response to this event reignited sister-hood. These creative and progressive voices of women of Muslim heritage are a desperately needed contribution to so many of our contemporary debates about politics, feminism, human rights, culture, the role of religion, leadership, life and art. 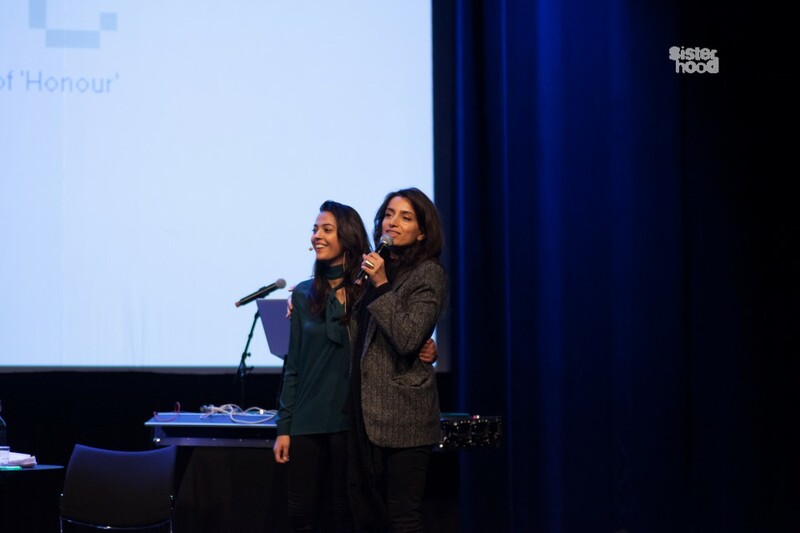 sister-hood will build on the courage and creativity that became apparent through both of these projects: the potential to amplify existing voices, support new ones and bring them into conversation and solidarity with each other. sister-hood is for all women and girls of Muslim heritage, regardless of age, ethnicity or sexuality. Former Muslims, cultural Muslims, and agnostics are just as welcome to contribute and participate as the devout; all sects and denominations are welcome. The articles on sister-hood magazine will include stories, experiences and opinions about everything from the political to the personal through the eyes and words of the women. People constantly ask me ‘Where can we find women’s resistance against social, political and religious injustice and oppression? Where is the opposition to religious extremism?’ We have always been here. We exist. There is a huge, under-recognised movement of women who have been on the frontlines of progressive change. These voices are the trouble-makers and peace-makers, activists and artists, rebels and revolutionaries who have been defending peace, justice, freedom of expression, gender equality and human rights for decades. 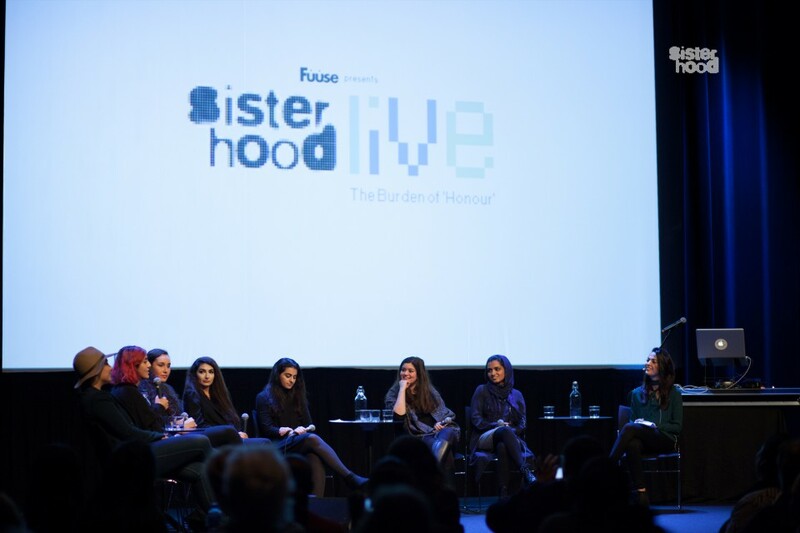 The Burden of “Honour” was the first sister-hood live event hosted in Oslo, produced by Fuuse. 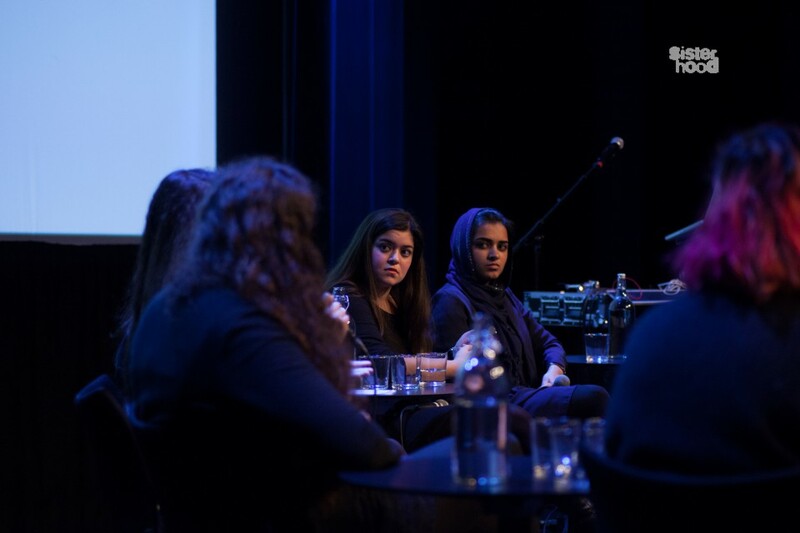 Moderated by Afak Afgun, managing editor of sister-hood, the discussion featured young Norwegian women of Muslim heritage discussing the topic of ‘honour’ and social control within their communities. Together these young women highlighted the impacts of the expectations of their families and communities upon their lives, as well as the positive and negative effects of the growing recognition of ‘honour’ as a form of violence against women. 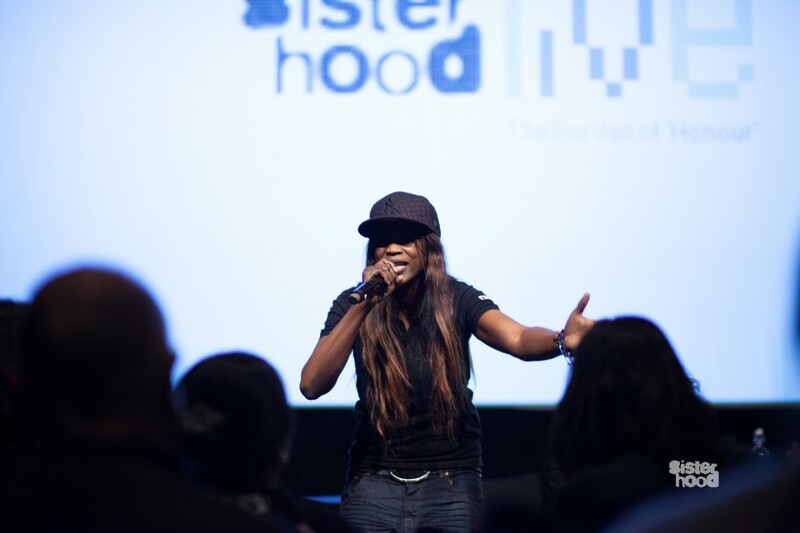 The event also featured a live performance by international artist Sister Fa who campaigns for women’s rights and the abolition of FGM (female genital mutilation). 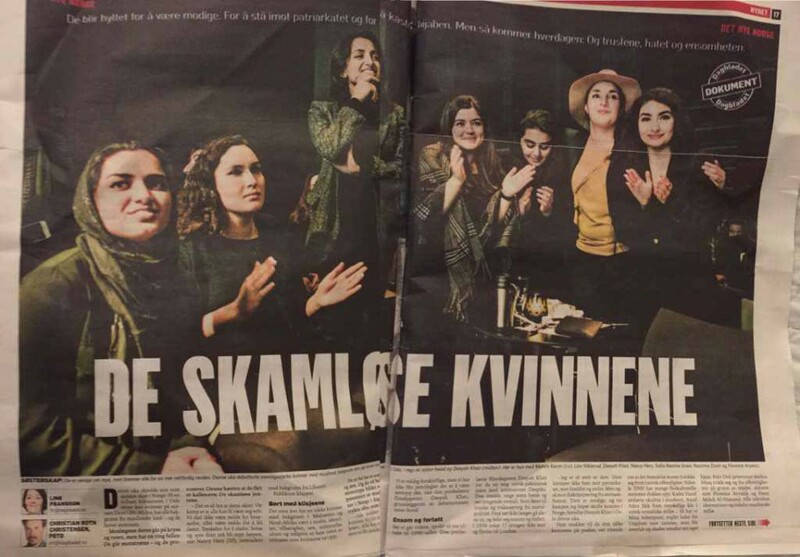 The first sister-hood event was covered on the front page of Dagbladet, a leading Norwegian newspaper, and was also featured in other media outlets.